Effective small business development is unthinkable without a website that represents it on the web. In many cases, the quality, performance and visual appeal of a website has notable effect upon the promotion of your small business and its popularity with the customers. This fact matters a lot, when it comes to small business advancement. If you are right about to establish web presence for your company, you have, probably, explored the available web building options already. The number of web design tools is stunning, but website builders have always been the easiest and the most effective solution. Actually, the demand for these services remains on a high level, which is no wonder, considering multiple benefits they offer and the result they ensure. Website builders allow launching small business websites in several hours or days, providing a user with a set of required web building tools and features. These systems also have nice SEO characteristics, which add to the efficacy of the website promotion. If you have made up your mind to use a website builder to create a small business website, then have a look at the most popular services that stand out from the crowd in the contemporary web building niche. Ucraft is a cloud-based website builder, which is predominantly used to launch responsive landing pages, business websites, portfolios and online stores. If you need, you can also create other website types as the system offers an extensive feature set and multiple tools to cope with any project. The service is easy to use both for non-tech savvy users and web design pros, standing out from the crowd due to its advanced Designer tools and eCommerce engine. One of the most distinctive Ucraft features is its powerful eCommerce engine, which empowers business owners to establish, develop, manage and promote online stores of diverse sizes and specialization. 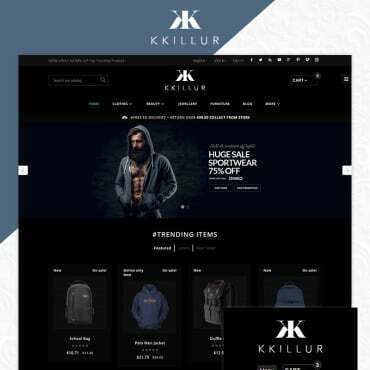 Web stores created with Ucraft are professional, functional and visually-appealing. 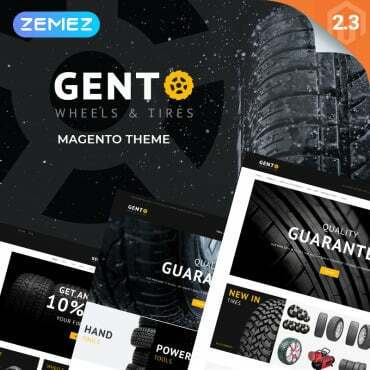 They make it possible to sell products not only in your web store, but also via social media platforms and even world-known marketplaces like Amazon or eBay. 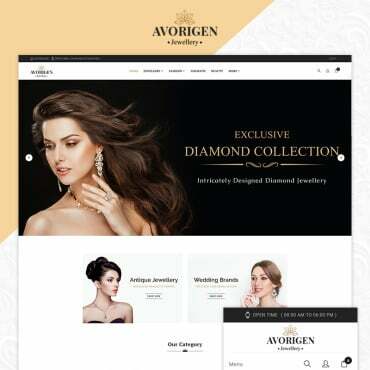 It provides advanced SEO tools, social eCommerce integration options, 24/7 customer support and web design features needed to launch a functional web store. Ucraft allows building multilingual websites. This is a must-have feature for any business website that contributes to effective cooperation with foreign business partners and encourages clients from abroad to buy the products or services you offer. To add a multilingual feature to your website, you need to install a special app. Righter after that, you can add as many languages as you need for effective business promotion and translate your website content to make it understandable for the target audience. It’s not a secret that blogs and articles also have positive effect upon successful and quick business promotion. Ucraft has much to offer in this respect. By installing its Articles App, you will be able to add new blog posts and articles to your website. You can choose blog templates and design customization tools to give your blog attractive appeal and excellent performance. For those users, who wish to use the website builder for business branding, Ucraft offers a White Label solution, which will add credibility to any business, grow its popularity and boost customer trust. Websites launched within the White Label offer, can be hosted either on Ucraft servers or on any other platform of your choice. Ucraft currently offers 5 plans, namely Landing Page (free), Website ($8/mo), eCommerce ($16/mo), Pro ($39/mo) and Unlimited ($76/mo). 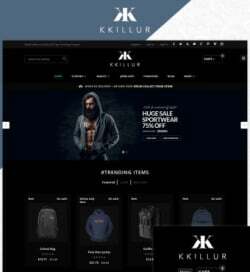 When it comes to building business websites, it makes sense to choose eCommerce, Pro or Unlimited plans that provide a broad range of options, including an opportunity to sell products, create multilingual website versions, choose payment and shipping methods, hosting, domain name and advanced SEO options. Whatever plan you will go for, the system will offer a 14-day trial period to explore its features. IM XPRS is a website builder, which has won worldwide popularity with web design experts and newbies. The service is a top notch destination for creatives, artists, students and business owners willing to establish reliable web presence at affordable cost. The system makes it possible to build business websites, landing pages and portfolios. IM XPRS stands out from the crowd due to its eCommerce engine, which makes it possible to create web stores based on the needs, requirements and niche specialization of a user. The system is also known for its blogging platform that allows creating and managing a blog even on the go. You can add new posts and schedule them as you need to keep your blog updated and interesting for the target audience.The system also offers business-specific responsive templates, the choice of which is really extensive. One of the highlights of the website builder is its White Label solution. It allows business owners, web design pros, hosting companies and resellers to use the service under their brand names to win customer trust and loyalty. This is a handy tool for any business owner. XPRS from IM Creator is absolutely free for students, non-commercial organizations, creatives and artists. It helps showcase your business and talent in the most favorable light without investing a lot into your website. The use of the White Label solution will come in handy to other user categories aimed at business promotion and profit generation. Mobirise is a decent web building tool that can be used to build effective business websites. This is the downloadable software that requires installation prior to working on a project. The website builder is one of the easiest and the most convenient web building systems in the contemporary web design niche. This is what makes it attractive for newbies and skilled web developers. Mobirise is a block-based drag-and-drop website builder, which additionally offers free and paid templates. Content blocks are chosen with regard to their purpose and include over 600 elements that comprise the website structure. The AMP Website Builder tool is one of the major highlights of the system. The feature allows building AMP website pages that load quickly and smoothly on mobile devices. Mobirise is the first website builder that introduced this advanced tool, which can be used to create a high quality AMP website, be it a blog, an online magazine or a news portal. Websites created with the tool have more chances to get high search engine ranking. This is important for business websites. Mobirise is a free website builder used for commercial and non-commercial purposes. There are no paid plans here, while the web building process doesn’t cost anything at all. Ready made websites can be hosted on GitHub for free. Extra paid extensions might be useful, because they contribute to the reputability and popularity of your website. uKit is a website builder, which specializes on the development of small business websites. The service has a convenient drag-and-drop interface and a set of tools needed to launch and manage a functional and visually-attractive small business website. The website builder features ease of use, convenience, intuitive interface and other benefits, which make it a nice choice for users with diverse expertise level. uKit has a distinctive collection of responsive templates that represent various business niches. The themes can be customized by using specialized web design tools. Thus, you can make use of group font changes, 404 page design adjustment, scrolling animation effects etc. uKit also offers a number of business widgets (AMO CRM, LiveChat, Callback, Google Maps, SlideShare, SoundCloud, Timer, Timeline etc. ), integration of which can boost website performance. The website builder offers two eCommerce options that allow building top notch online stores. With this purpose, you can either integrate the Ecwid plugin into the existing website or connect an eCommerce widget to get your web store running. What’s more, the service offers SSL certification, White Label option, uCalc Online Calculator and an opportunity to launch a multilingual website. uKit pricing policy is more than affordable for everyone. The system doesn’t have a free plan, but it offers 4 paid plans, the cost of which is reasonable. These are Premium ($4/mo), Premium + ($8/mo), eCommerce ($9.60/mo) and Pro ($12/mo) plans. There is a 14-day trial, allowing to test the features of the chosen plan for free. Building a website is a must for any small business, the owner of which aims at boosting customer loyalty and traffic generation. Website builders are the best services to complete this task with ease and convenience. These systems offer a broad range of features, characteristics and tools that allow creating different website types. 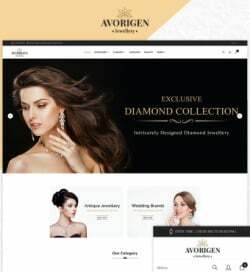 They offer an extensive collection of responsive templates to come up to the needs and goals of any business. Finally, they are much more affordable as compared to other web building tools. Ucraft, uKit, IM Creator and Mobirise are among the most popular website builders that allow launching and managing small business websites. Take your time to explore each of them to find the best solution to your business tasks.